Ahhh, good to be back! My, my we had made it to Zambia. 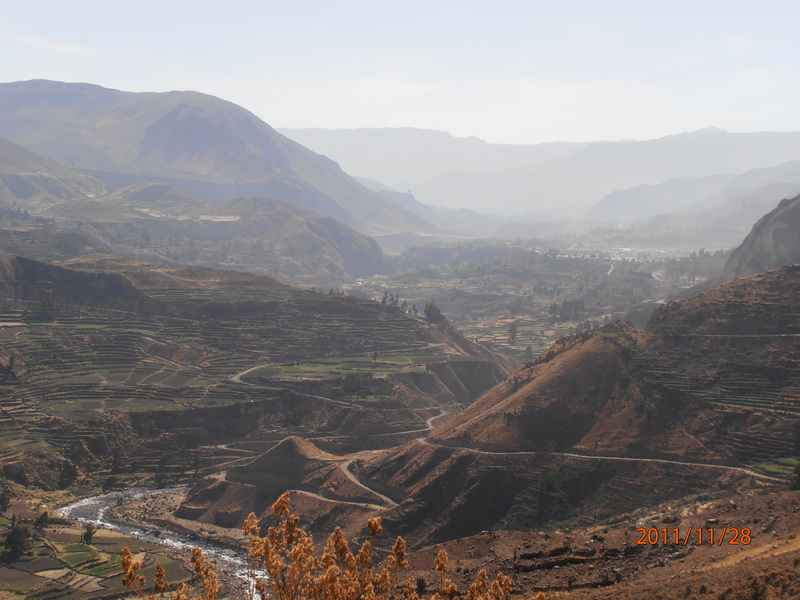 This was my must do country after we decided to come to Africa as it was where my parents lived for 9 years, where my brother was born and where I lived for the 1st year of my life. It is also where my parents met the Roberts and the McDonald family who remain a massive part of my life; representing second and third mum’s, dad’s and siblings. Big watershed moment for us too as this would be our final country before flying back to Britain, and my goodness were we going to make the most of it! 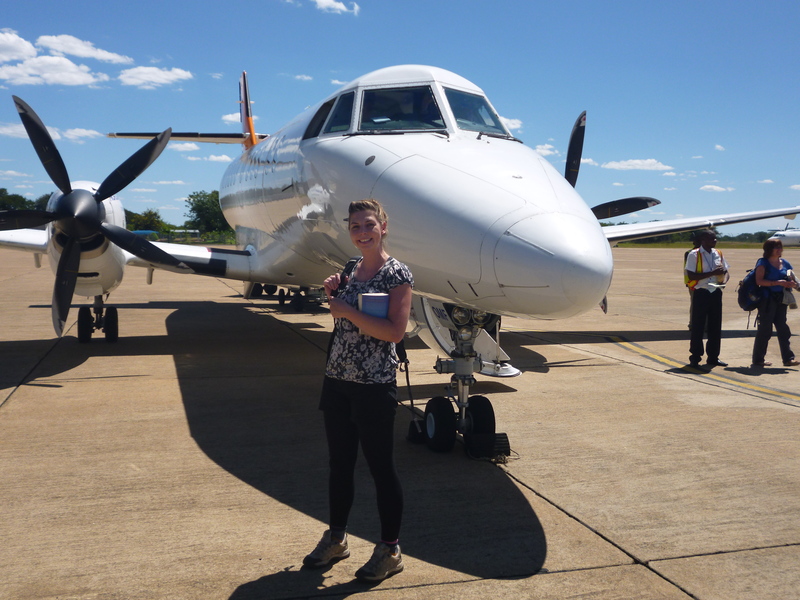 After flying into Lusaka, and spending one night in the capital at Lusaka Backpackers, it was back on a plane for our internal flight down to Livingstone. The plane was tiny- 3 seats wide, but the pilot did us proud; super smooth and a great first view of Victoria Falls from the air on our final approach into Livingstone airport (top tip: sit on the left of the plane to get the best view). We were staying at Jollyboys Backpackers and a chap was there to pick us up from the airport and drive us the 6km into town. The backpackers was fab and we were staying in a little triangular hatched hut called ‘Hippo’ and everything inside had a hippo theme, it was great. Today was 1st April and we were flying back to Lusaka on the 10th- 10 days to fit as much as we could in, and have as much fun as our dwindling budget allowed. So first stop was to the tour desk to plan out our time and book our activities. 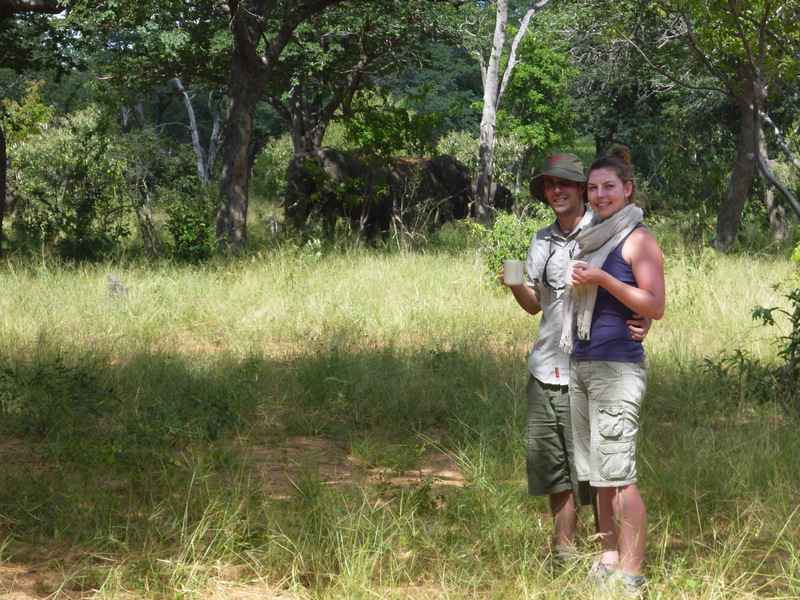 Livingstone Island, Chobe Safari, Elephant Safari, Booze Cruise and Microlight….booked! We were going to have a great 10 days! 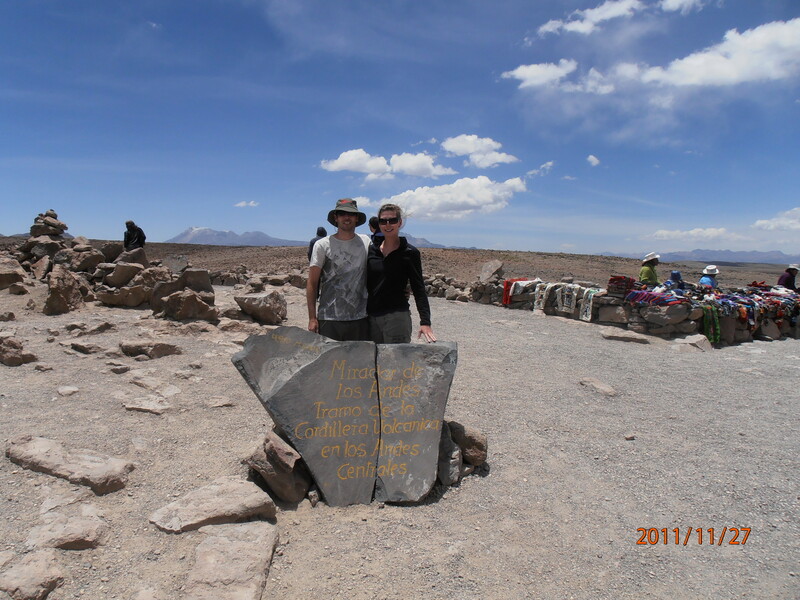 After a reasonable night sleep (although the pillows felt like they were stuffed with boulders! ), it was time for our first activity- Breakfast on Livingstone Island. Now perhaps a potted history is required…as you all know Dr David Livingstone, the courageous Scotsman, in the 1800’s was, and still remains, the most pioneering missionary and explorer of Africa. 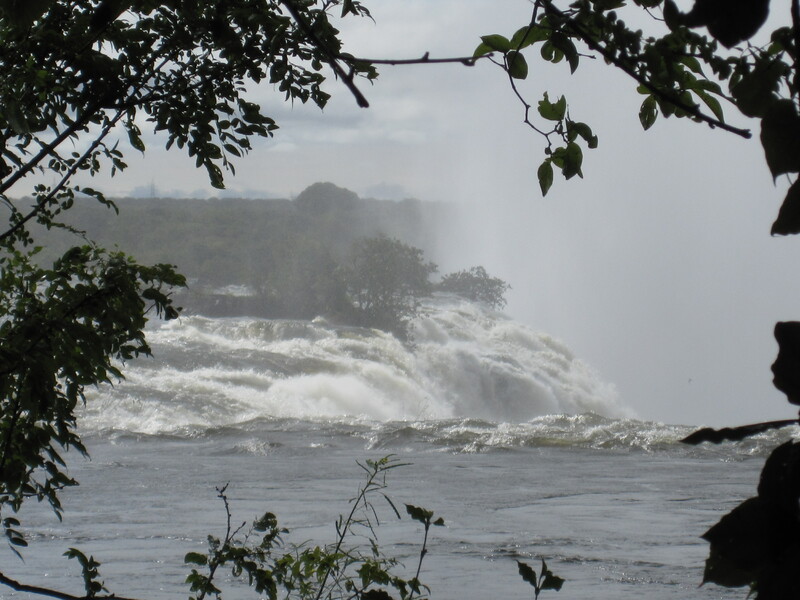 His motto was ‘ Christianity, Commerce and Civilisation’ and he believed the key to achieving these goals was the navigation of the Zambezi River, and hence he spent a great deal of time around Victoria Falls. The town named after him and so to the tiny island on the edge of the falls we were about to visit. 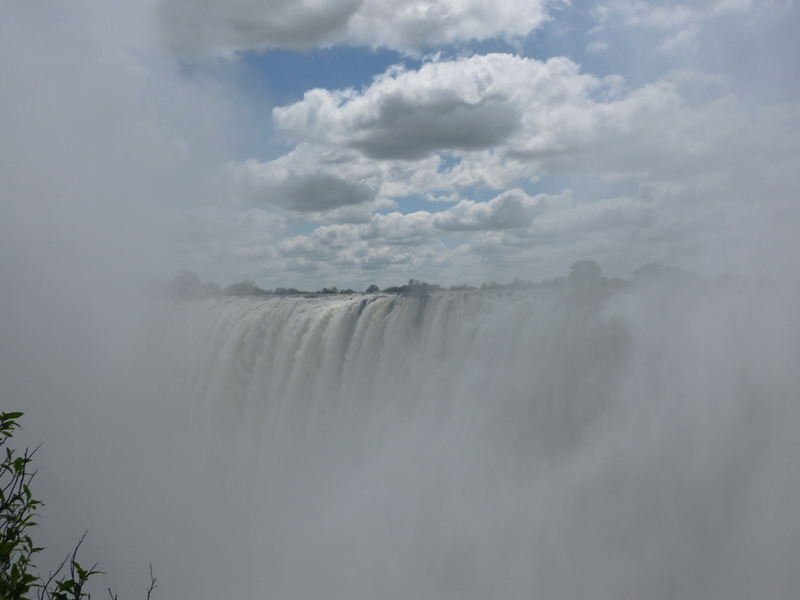 The island is the place where Dr David Livingstone first glimpsed Victoria Falls, or to use its traditional name: Mosi-oa-Tunya, ‘The Smoke That Thunders’. We were visiting in the wet season when the falls is at its fullest, so we were sure to get soaked and we wore our swimmers in preparation. In fact we were lucky to even be able to visit the island as the operators were closing it on 3rd April (the next day) due to the high water level- we breathed a sigh of relief at our timing! At 8.30am we got a taxi (35,000 kwacha) to the very fancy Royal Livingstone Hotel. My my it was luxurious and we made our way through its lovely garden and onto the sun deck overlooking the Zambezi River with the spray from the falls hurtling into the sky. We were joined by 2 other older couples from the US and Durban, signed our lives away on yet another indemnity form, and then boarded the jet boat that would take us to the little island in the middle and right on the edge of the falls. We didn’t really know what to expect as our guide led us through the trees and foliage to a little clearing by the edge of the island, and it was there that Hedd and I got our first up close view of the mighty Victoria Falls. It was amazing! The Smoke that Thunders really is a good description; just gallons and gallons of water thundering over and down the cliff edge and we were sooo close! We donned the rain coats the Tongabezi tour company provided and took a walk right along the edge of the island, getting progressively wetter from the spray and marvelling at the sheer power of the falls, how big they were and how close we were to the edge. And then the guide asked “who wants to swim?”. Hedd and I couldn’t believe it. We had been told we wouldn’t be allowed to swim at the top of the falls because of the water level. Completely apprehensive but not wanting to miss out on an opportunity of a life time, we stripped off to our swimmers and along with the couple from Durban, we all held hands and got guided the way into a rock pool right by the edge of the falls by our local guide with dreads. We made our way very slowly and carefully into the rock pool and on arrival literally screamed with d elight at the fact that we were actually swimming at the edge of the falls! I thought the water would be freezing but it was in fact really nice and warm and the current in this little rock pool was not as strong as you think. Either way I was pleased our guide was acting as a goal’ie, blocking the natural exit from this rock pool i.e. over the falls edge! It was just amazing. And such a surprise and we were both delighted to have done it. We then slowly made our way back to the island and to the tented dining area to dry off and redress before breakfast. A great way to wake up! We got served copious amounts of tea, eggs Benedict and scones whilst listening to the thunderous falls. Goodness knows where the staff conjured up the food (the island was tiny! ), but it was all piping hot and delicious. Absolutely stuffed and just so content, we headed back to the Royal Livingstone Hotel sun deck feeling like we’d done enough activities for the whole day but it was not even 11am! The 2 other couples on our tour were staying at the hotel and they invited us to join them for a drink on the garden terrace. All very posh and our luck continued as they shouted us drinks as we chatted and attempted to dry off in the sun- lovely generous people. After a quick unplanned zip back to our hostel after Hedd realised he’d lost the room key in the Zambezi (! ), we then made our way to Zambian side of the Victoria Falls Heritage Park to explore all the various viewpoints. Paying our $20 entry we headed straight for the ‘Knife Edge Bridge’. We wrapped up all our camera’s and money belts in bags within bags in preparation for getting soaked. And my goodness did we get saturated! Walking across the bridge that fronts directly onto the face of Falls, it was like walking through torrential rain and the bridge was like a river. It was so fun and I screamed a lot! Walkin g to the rain forest view-point we didn’t really get a great view of the falls on account of the spray but we really got an impression of its power as the water tumbles down, throwing up the spray that was getting us so wet. Moving away from the falls face we headed for the furthest away viewpoint along the Photographic Trail which ended right by Victoria Falls bridge. Incredibly I was pretty much dry by the time we had walked there and back on account of the sunshine. All in all we spent 2 hours in the park and we both voiced that we were so pleased to be ending our trip here and seeing one of the 7 wonders of the world. Amazing. After a spot of browsing through the Vic Falls African Arts and Craft market (top tip: over-priced, cheaper to buy souvenirs at Mukuni Park market in town), we got a taxi back to the town. Our journey was interrupted by having to wait at a junction for a steam train to pass. Now I was under strict instructions from my Dad (a train fanatic!) to take photos of any trains I might happen to pass. So up and out of the taxi I went and absolutely legged it down the road to get a photo of this very expensive looking steam train. We were 10 cars back from the junction so everyone else in their taxi’s must have thought I was bonkers, randomly running towards a train, but I got some good piccies for Dad so it was worth it! A chilled out evening at our hostel to end our fantastic first full day in Livingstone. 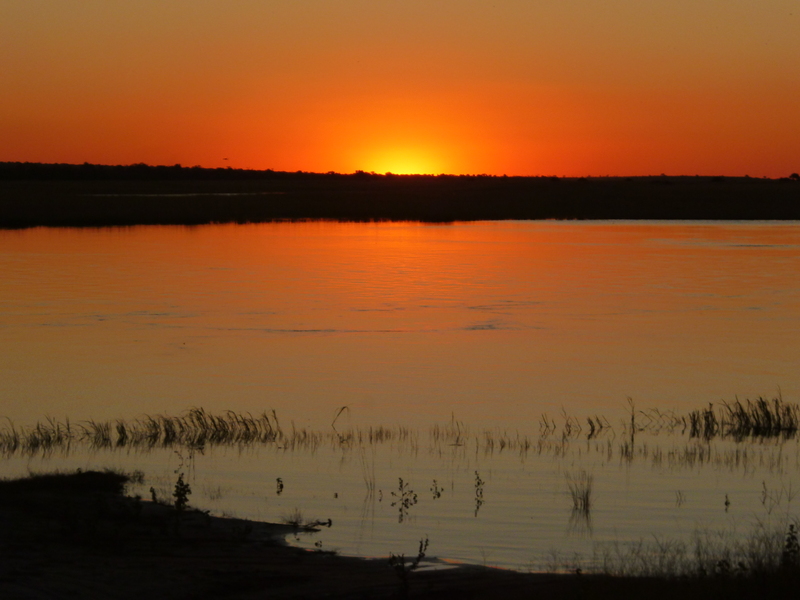 3rd April and time for the start of our 3 day, 2 night safari in Chobe National Park in Botswana- country number 11 of our round the world trip. It was a 1 1/2 hour minibus transfer to the Botswana border. We were entering Botswana via the Kazungula ferry across the Chobe River. Its one of the shortest border crossings at just 750 m wide and from the little power boat that took us across we could see 4 countries- Zambia, Zimbabwe, Namibia and Botswana. Pretty damn cool! We got our exit stamps on the Zambia side, crossed the river and got our entry stamps for Botswana. Sinka, our safari guide from Kalahari Tours, met us on the Botswana side and drove us to Kalahari’s base in K asane Town in the open 4×4 van that we would be travelling in for the next 3 days. First up was a 2 hour river safari and we boarded the big boat, made from what looked like 2 canoes glued onto a platform with 2 power engines at the back, and remarkably still stayed afloat as we made our way down the Chobe River. As we sailed up the Botswana side and then down the Nambian side of the river we saw lots of animals, impala, crocodiles, buffalo. But best of all we saw a big family of elephants with a little baby elephant drinking from the river, plus a hippo basking in the sun smiling. Our driver and guide on the boat though I have to say were rubbish. They didn’t explain anything, just intermittently pointed and said the animals name. But we still enjoyed it. Back at base the tour company laid on a fab lunch before it was time to collect our rucksack and board our 4×4 with Sinka to head to Chobe National Park and properly start our safari. We entered the park via the Sedudu Gate on the Western side. Chobe is the second largest park in Botswana at 11,700 km sq and it is unfenced so not to impact on the animals natural migration patterns. We soon came across 1 of Chobe’s 150,000 African elephants. There are so many of them, Chobe are having to transport some of them to other countries who’s elephant populations are struggling to bring the population down to sustainable levels. From Sedudu we headed East towards our camp at Serendela and we saw loads of game along the way: elephants, impala, giraffe, kudu, buffalo, marshal eagles…Particularly amazing was when we found a pride of 7 lioness’ who were stalking a herd of elephants. We thought we were just about to witness a kill but instead something equally exciting. 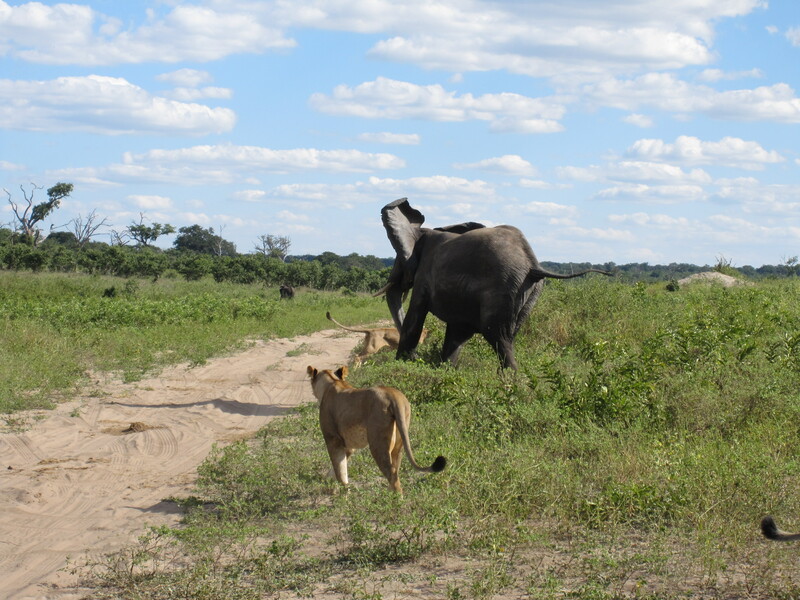 The matriarchal female elephant charged the lioness’ away, trumpeting and thundering her massive feet. It was like watching a Natural Planet episode in real life; amazing! Si nka never let us miss out on the small animals too. Amazingly he spotted a chameleon from the 4×4 and stopped alongside the tiny thing and we watched it turn from bright lime green to an evergreen colour as it walked into the bush- very cool. But the highlight for me was seeing a ‘Tower’ of 15 giraffes on the plain by the Chobe River as the sun was going down and we got the chance to see them gallop. Such an elegant movement for such a long limbed animal. Wonderful! We got into camp at 6.30pm and after getting introduced to our tents and long drop toilet, we got our camp briefing from Malachite our camp leader. Basic rules, this was an open camp. Animals can pass through at anytime but apparently they won’t because the little paraffin lamps he has dotted around will scare them off (?!?) and to make sure you shine your head torch around before stepping out of your tent if you need the loo in the night! Proper bush camping then! Mr Roy, another member of the Kalahari team, was our cook and we enjoyed a dinner of chicken curry followed by vanilla sponge and angel delight. They then brought the marshmallows out and had a girl guide moment browning marshmallows on sticks above the campfire. Entertainment was provided by Mr Roy telling jokes and Malachite dancing and singing African songs. It was great! 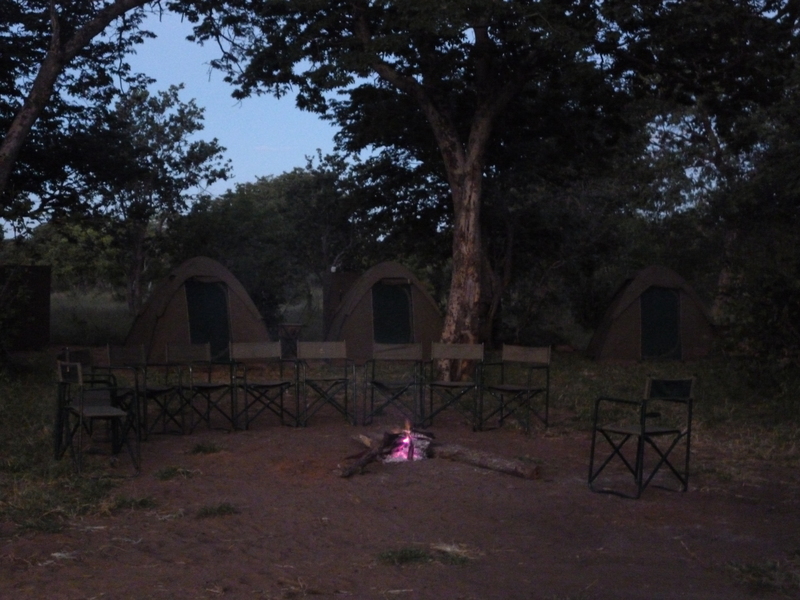 Bed by 9.30pm as safari life starts early at 5.30am. 5.30am and a wake up call from Malachite gently drumming on our tent roof. A quick wet wipe wash, cornflakes breakfast with a cuppa and we were off on the 4×4 for a 4 hour morning game drive. We were on the hunt for a leopard who enjoy the cool of the morning, and after driving along the river for a bit we went deeper into the bush watching the trees to try to spot a leopard. We didn’t find one! But of note we did see a troop of baboons play fighting and jumping between the rooves of 2 rondavel huts. They absolutely were destroying the thatch but it was fun to watch. We also saw a herd of impala leaping along the road flicking their back legs up really high in the air as they went- very cool. But all in all the morning drive was a bit slow and everyone admitted (there were 10 of us in the 4×4) they took a little snooze at some point in the 4 hours! Plus I got poo’d on by a bird again (the same had happened in Peru)! But as one of the other girls said, Jasmin, it is good luck so I shouldn’t complain! We got back to camp at 10.30am and Mr Roy cooked us brunch of bacon, sausage, scrabbled egg, corn fritters and beans. I was hungry for it I have to say after being out all morning and it was yum. We then had a 2 hour siesta (animals aren’t really about it the heat of the mid day). As we were getting ready to go for our afternoon game drive a herd of elephants came really close to camp munching on branches. It was amazing. They got so close! Then it was off into the western part of the park again for some more viewing. This time Sinka was on the hunt for some more lions. We didn’t find them but we did see plenty of animals. In particular, a whole range of aquatic birds and some of what Sinka called the ‘Ugly 5’- malibu storks, baboons and warthogs (hyenas and vultures make up the last 2). We asked if we could be by the river for sunset and Sinka got us there just in time. Then it was back to camp at 6.30pm. The next 3 day, 2 night group had arrived so they were 7 new people to get to know which was fun. Two of which we discovered had witnessed me running down the road towards the steam train 2 days previous. The exchange went a little like this, “oh yeah, you were that crazy girl in the black dress who ran to see the train”. Yeah, thanks for that! The singing and dancing had added justo tonight with the guides rising to the larger audience. How African men dance is just funny- they just seemed to be in a permanent squat position whilst jumping around! Bed at 9.30pm again, snuggling into our comfy mattress, pillow and duvet. 5th April and our last day on safari. Usual routine, 5.30am start. But this morning had the added excitement of Sinka announcing he had heard a kill in the night really close by our camp. It was a lion on a buffalo and it happened at 4.50am so Sinka was sure the lions were still in the area. So we jumped in the 4×4 and Sinka carreered off-road at speed into the bush. It was all very exciting! He then got radioed by one of the Kalahari team he had located the lions and Sinka literally stormed it to the road. We were going so fast I just held on for dear life as we hurtled around the corner. 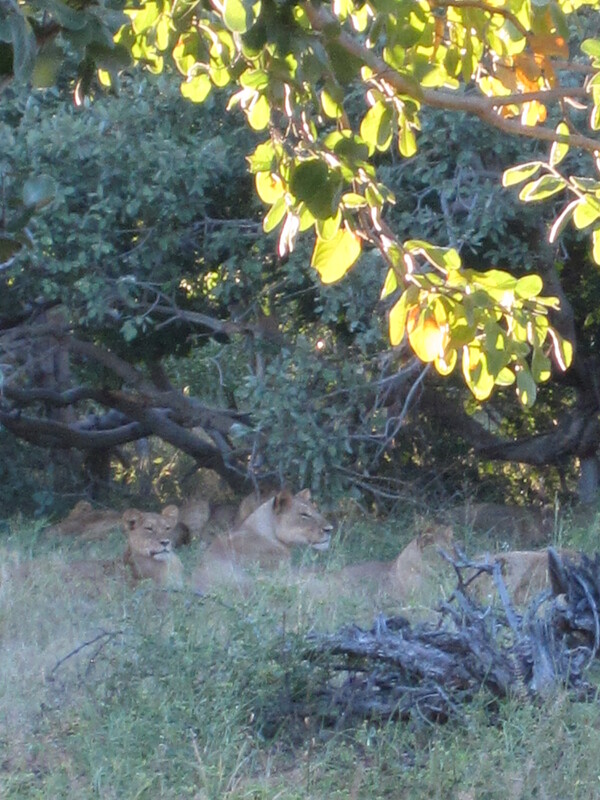 But we were first on the scene and saw 10 lions (9 females and 1 male) in a stand-off with a bachelor herd of buffalo. The buffalo won and the lions went under a tree for a sulk! We were the last 2 out of the 10 originals on the tour and for the remaining of the morning drive we got our own personal safari; just us and Sinka which was rather special. We were zebra hunting which saw us travel to the Ngoma Gate on the Eastern side of the park. No sightings for us, but it was a long shot anyway as it was wet season still and zebra migrate out of the park. But we were still pleased to see the eastern side as it was so different from the west-drier, quieter, more savanna like. Aside from a lot of birds we also saw the carcass of a big elephant. Sinka said it died naturally and had probably been there for a week. Vultures were circling overhead. It was sad to see, but that’s t he reality of the natural world. Back at camp again and we enjoyed another brunch- its amazing how hungry you get from just sitting in a 4×4! No siesta for us though. We were off with Sinka again and heading back to the Sedudu Gate via the Tide Road. We thought we were just going home but no Sinka surprised us with another river safari and dropped us off at the Chobe National Park water border. We hopped on a small speed boat with 6 other people and we were off. It was so nice to see the animals from the water again and in a small enough boat this time to get really close to shore. 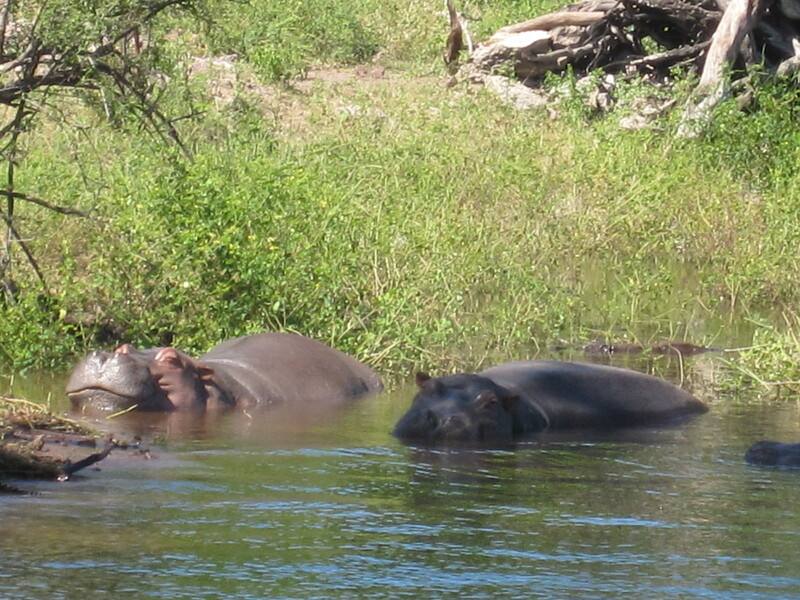 We saw velvet monkeys, plus a massive crocodile out of the water with its mouth open. The guide was 100 x’s more informative than the first boat trip and told us all about the dispute between Namiba and Botswana over the island that stretches along the middle of the Chobe River- the natural boundary between the two countries. It went to the Hague and based on the depth of water the island was pronounced as belonging to Botswana. There is a big Botswana flag on the stretch of land now just to remind everyone! We were on the water for 2 hours and then it w as back to base to catch our transfer to the border. Got our exit stamp from Botswana, power boat over to Zambia again, entry stamp and then the guy from Jollyboys was there waiting to take us back to Livingstone. Fair play, the whole operation was very slick! We were entertained for the 1 1/2 hour journey back by a pair of 18-year-old twins from Ireland who were staying at a nearby backpackers called Fawlty Towers. They were funny little things, really chatty and friendly, and they called Hedd ‘old’ and then quickly qualified him as ‘older’ to make it sound better. I was laughing my head off but soon shut up when I realised I was only 2 years behind him! Experiencing 3 days of warm beverage’s, we enjoyed a couple of ice-cold coca cola’s back at the hostel before turning in early doors. We were bushed, but what a great safari! 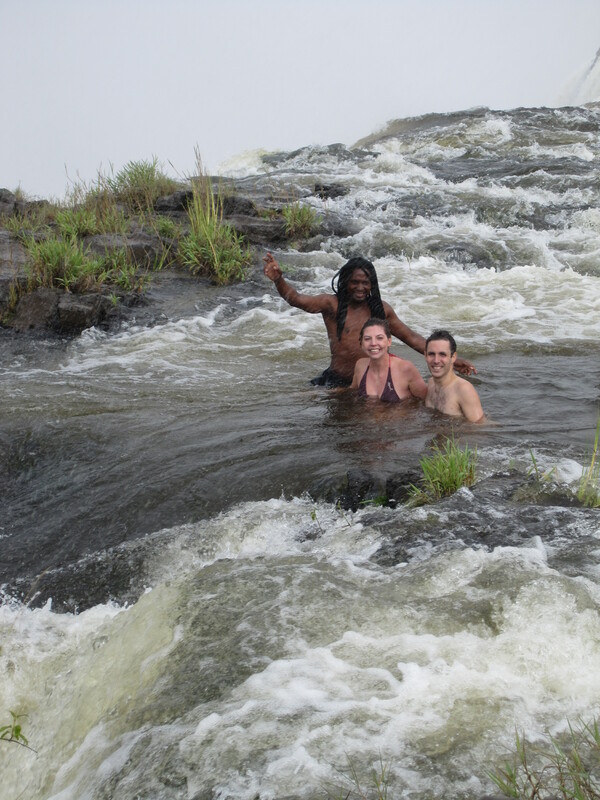 The best free shower in the world= Walking across Vic Falls knife-edge bridge in the wet season! My first ever safari!! 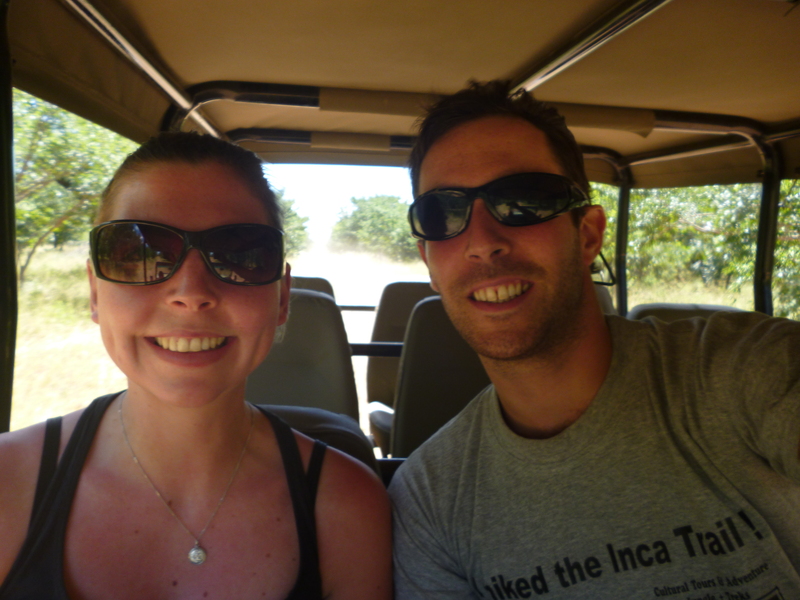 What an experience, it was amazing – the game drive we did in South Africa was nothing compared to this! Let’s start with the elephants. 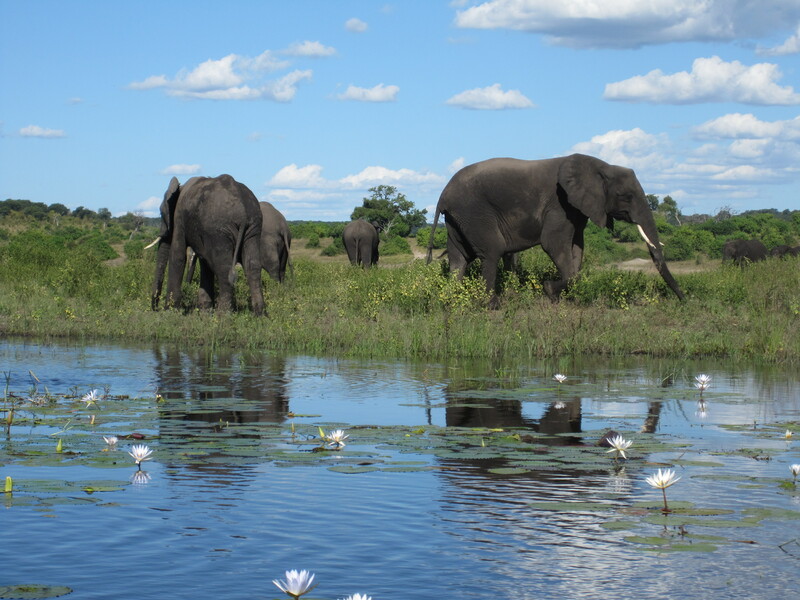 Chobe is all about elephants, they have around 120,000 of them. These creatures are massive and so interesting to watch. They are also extremely protective of their young, every time we stopped to take a picture of a baby elephant, one or two adults would move in front to protect them. Not so surprising perhaps given that there are lions in the park. On our first day we saw a confrontation between a pride of lions and some elephants, with the highlight being an elephant charging at the lions before running away to join the others. Simply amazing!! We also got to see hippos, crocs, buffalo, impala, kudu, baboons, lizards and more…so much wildlife, such a beautiful setting. To top it all off, we were camping. Yes, camping – in tents. The only thing that separated us from the lions, elephants and all the rest was a few paraffin lamps scattered among the grass. I was a bit worried at first, what if I get eaten by a lion, trampled by an elephant in my sleep etc. Some of the others in the group heard a lot of noise at night, said there was something outside the tent etc. I must have slept well both nights, because I didn’t hear a thing!! 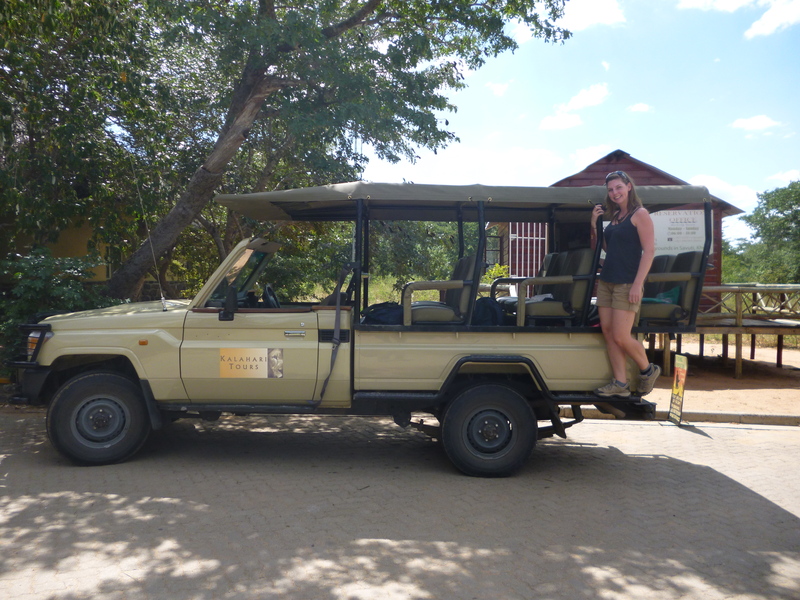 This was a proper safari and it was amazing!